We rose at the crack of dawn on Sunday morning to head back to Albuquerque where my dad would be catching an early morning flight. The sky was jet black and the tiny town of Taos was still fast asleep. As we followed along the Rio Grande, the sky began to brighten and turn from inky black to a pale, milky blue. Weather had come in and the royal blue sky of the last few days had disappeared. It was a good day to head back. The two and a half hour drive back to Albuquerque was peaceful and serene. Hardly a soul was on the road. I admired the lone western countryside and saw real rugged beauty in its jagged mountains and unique southwestern landscape. It is not like Arizona; there are no cactus in sight. Yet it still has that dessert, western feel to it. It was lovely. The Albuquerque airport is a straight shot off Highway 25. We dropped my dad off, said our goodbyes and were off to explore Albuquerque. We had four hours until we had to be back and what I discovered is that it wasn’t enough. This Southwestern city is home to a colorful collection of art, culture and nature offerings. And it’s abundantly affordable, accessible and authentic, too. Be inspired by Native American and Hispanic culture, diverse attractions for all ages, dramatic landscapes and a mild, sunny climate ideal for year-round outdoor adventures. 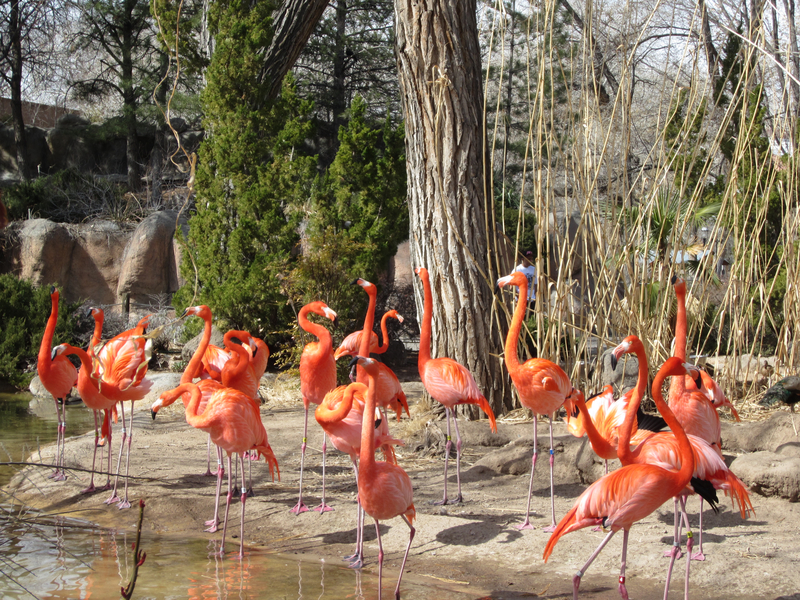 Our first stop was the fabulous Albuquerque Zoo located only four miles or so from the airport in the Albuquerque Biopark which hosts a zoo, aquarium, botanic garden and Tingley Beach. We were the first ones to arrive when they opened their doors at nine and what a reward that was! 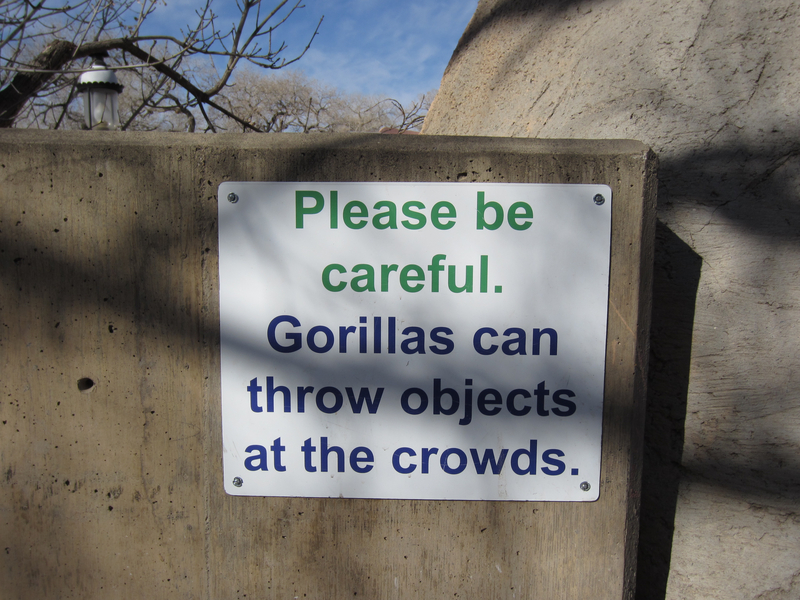 As we ventured up to the Gorillas, we noticed that they were not out yet. 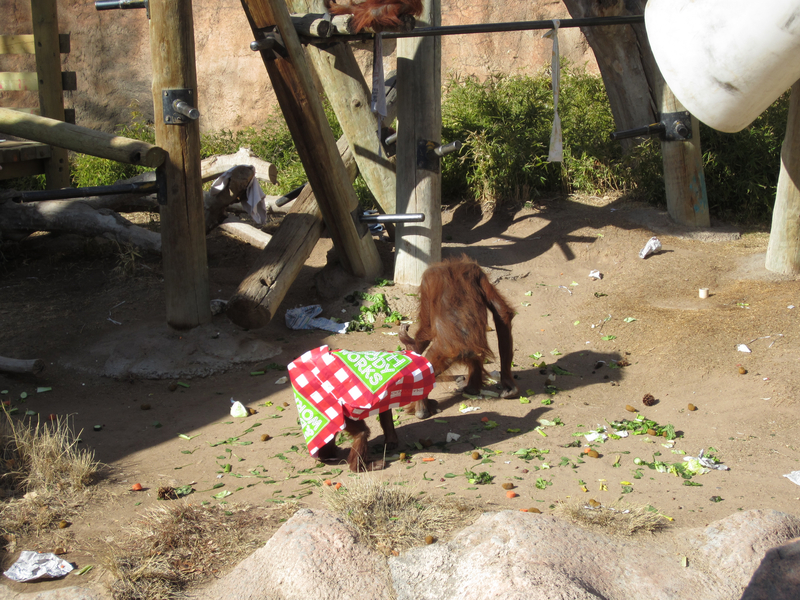 The zookeeper was cleaning their homes and informed us that they would be out in about ten minutes. We waited impatiently until we saw the back door open and then out lumbered an enormous hairy gorilla! My daughter squealed in delight as did I. It was such an amazing sight! Very interesting sign. 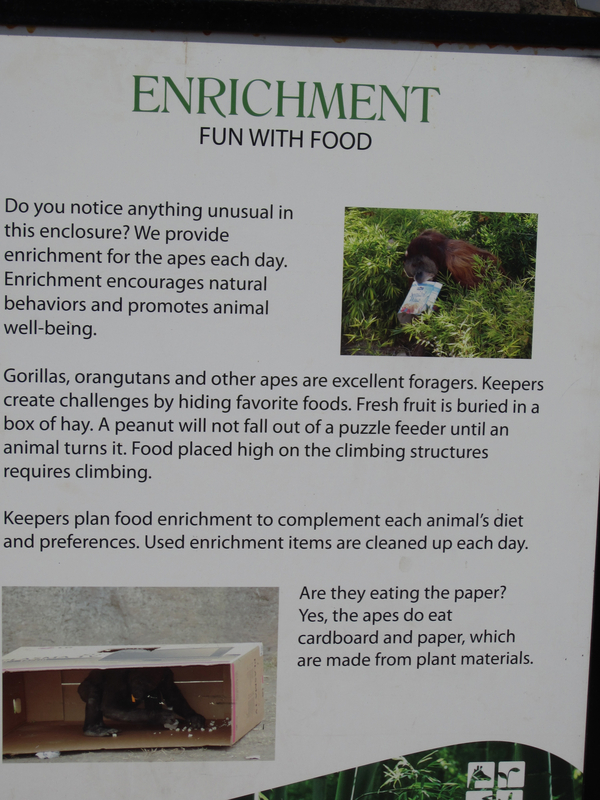 It helped explain the pictures below as we saw the baby ape playing hide and seek with the Bed, Bath and Beyond shopping bag! Just like my kids! 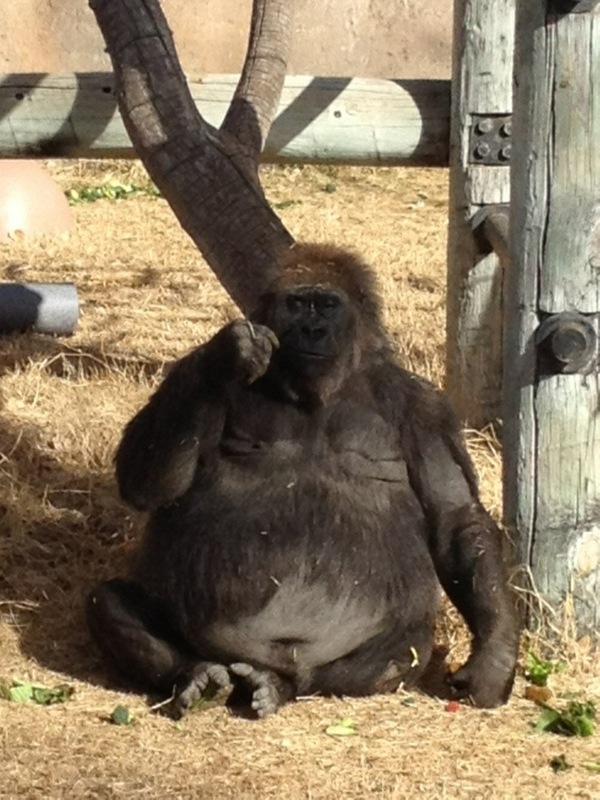 I wish I could have captured the old ape in the back better. He was hysterical! It amazed me how much the apes look and act like humans. Scary! 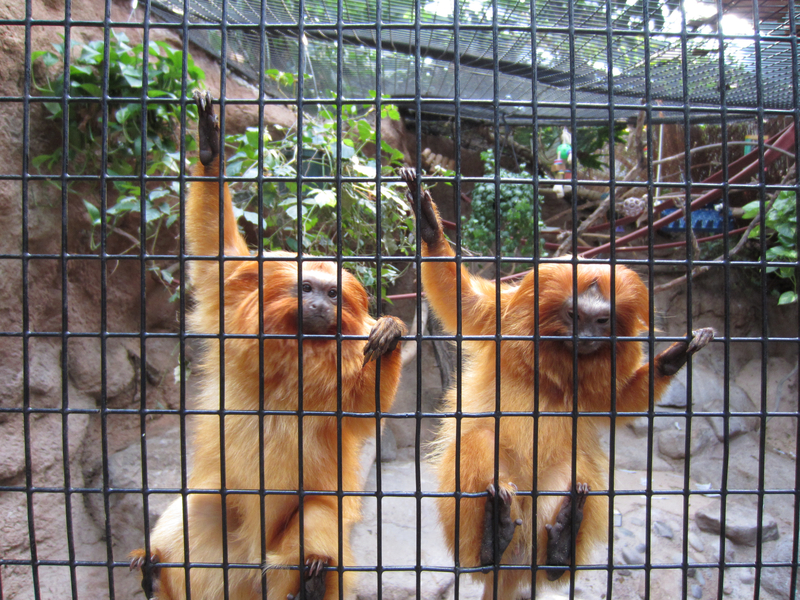 These guys (tamarins) were up close and personal. Probably looking for handouts. Our pink friends were awfully loud. Not sure what all the fuss was about. 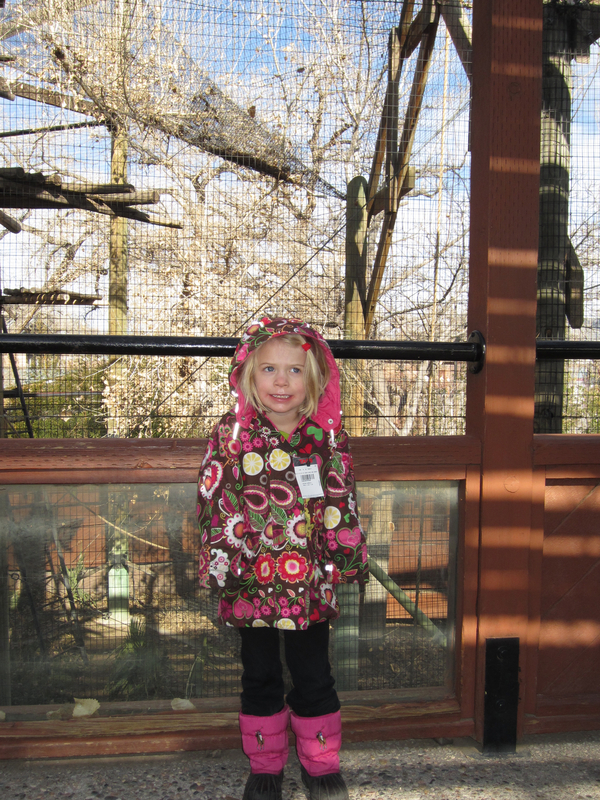 The zoo proved to be a great hit with Sophia as well as myself. 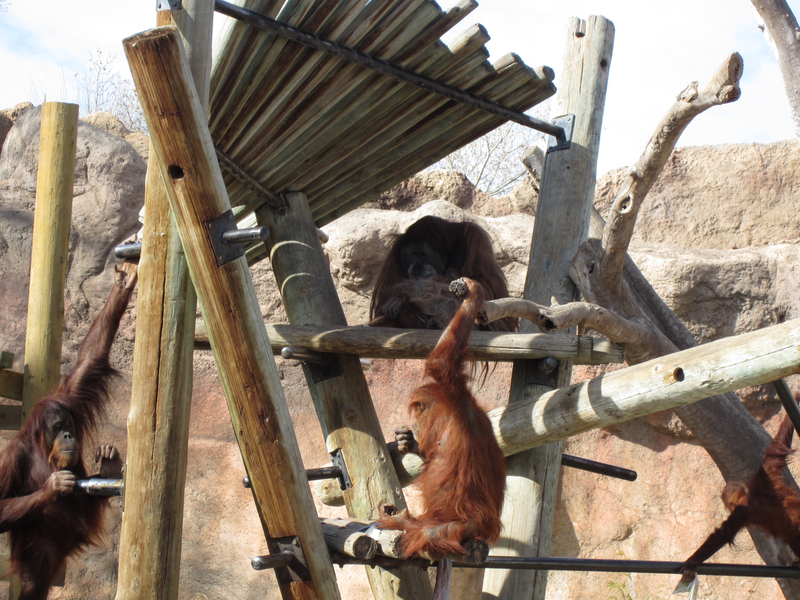 It is an example of how zoos should be: Up close and personal with the animals. We didn’t see it all because we had to go check out infamous Old Town. I knew it would be the real thing: Southwestern architecture and flair and I wasn’t disappointed. Stay tuned…Part II will be a glimpse of Old Town, the true wild west of New Mexico. Lovely photos! 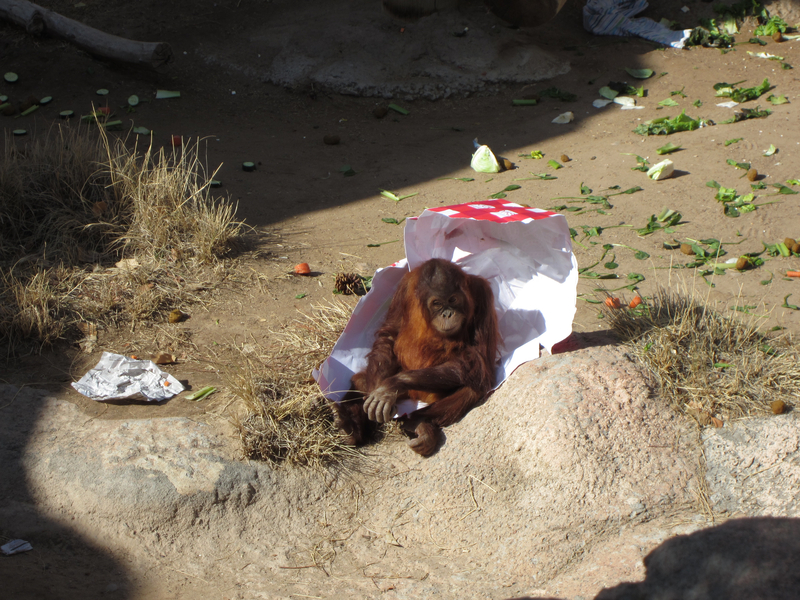 Seems the little monkey was posing for you with that paper bag, too cute. 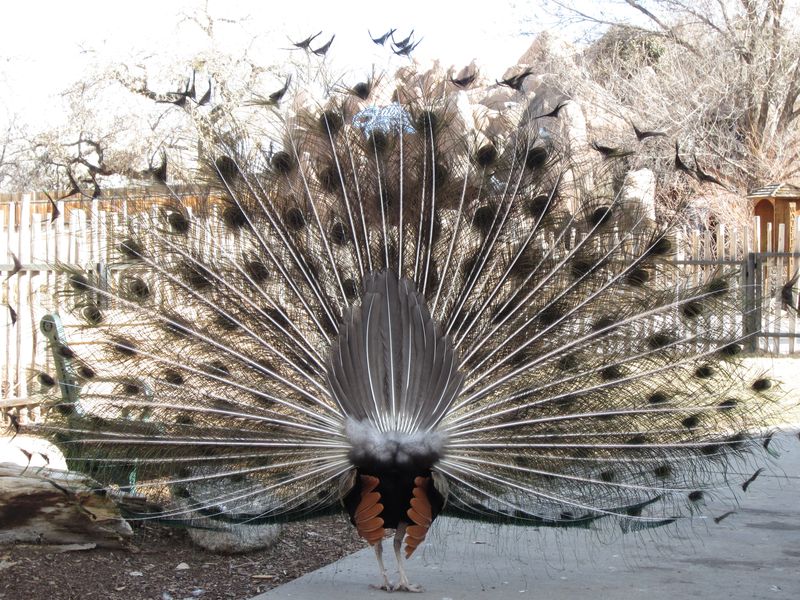 When I lived in Cayman Islands, I lived right beside a peacock zoo. I often found them on the veranda first thing in the mornings. It`s really strange to see them fly. 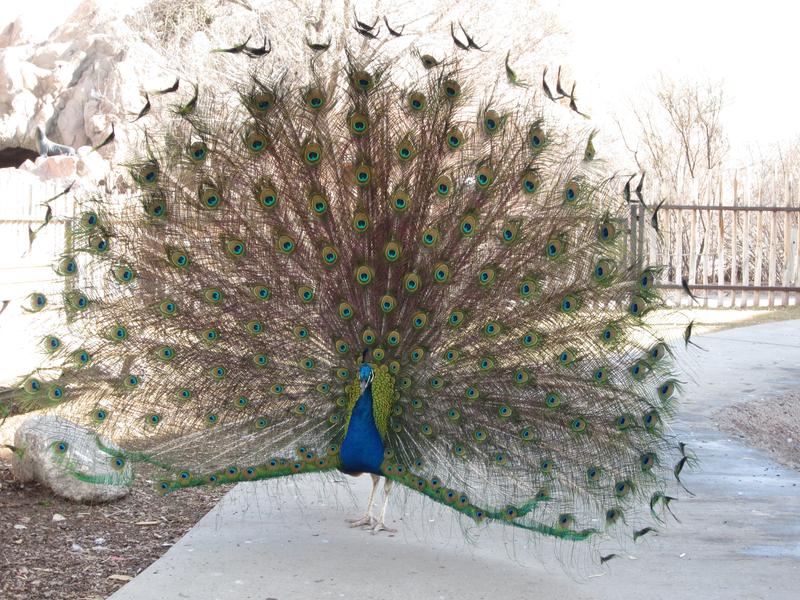 Wow, Nicole, the peacock photo is amazing! The zoo looks like it was a lot of fun!